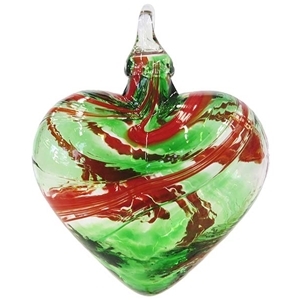 Show some affection with a beautiful Glass Eye Studio Classic Heart Ornament. These make wonderful gifts anytime of the year! Approximately 3" in diameter. Handmade by Glass Eye Studio in Seattle, Washington.